The police have registered a case under Sections 457, 389 and 436 of the Indian Penal Code against three persons for vandalising a place of worship here. Suspected addicts had set ablaze religious pictures and other material in Abohar. The place of worship is close to the divisional office complex of Punjab State Power Corporation Limited and the Loknayak Jai Prakash Narayan Park near the railway track in Nai Abadi here. Balaji Colony resident Anil Kumar has been identified as one of the suspects. 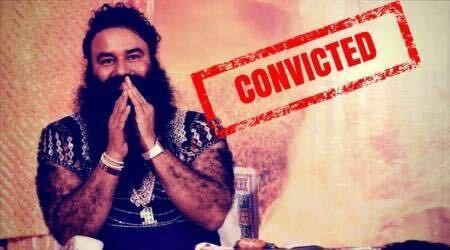 The other accused have been identified in the FIR by their nicknames — Petha and AD. Caretakers of the religious place had on Wednesday found the property burnt as they came to perform rituals. An emptied beer bottle and some used syringes lying there indicated it to be the handiwork of addicts. The place of worship exists in the corner of a playground. People have demolished a part of the railway boundary wall to facilitate easy access to the ground as well as the Punjab State Power Corporation Limited (PSPCL) office complex. Residents alleged that the park that shared entrance with the place of worship and playground had become a hub of drug addicts, gamblers and peddlers.